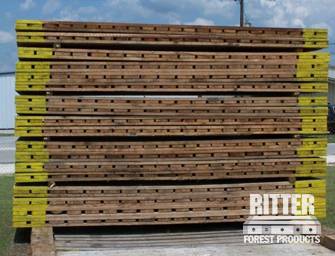 Laminated and timber mats for rent will easily and inexpensively make your work site safe and stable. Too many contractors and project managers overlook this important consideration, and their machinery inevitably gets stuck or damaged. Not only does this cost thousands of dollars – especially if the equipment is damaged – but it can also put the project behind schedule and it even causes employee injuries in serious cases. 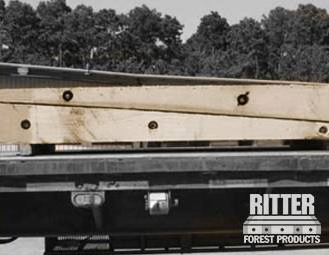 Ritter Forest Products provides crane mat rentals for companies working on job sites in South Carolina and across the country to prevent these costly problems and make your worksite safe and stable. We offer custom mats, dragline mats, pipeline skids, laminated mats for rent and many other timber products for use in a variety of industries. Our South Carolina crane mat rentals and other mats are used to stabilize heavy machinery during construction, excavation, mining, transportation, utility installation, various crane operations and many other types of work. 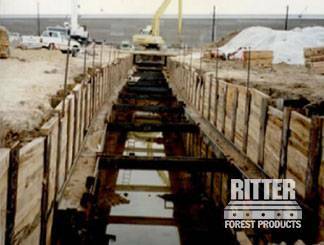 We build our mats with sturdy, high-quality timbers and carefully design our products to withstand the hard conditions on job sites. When you get mats from us, you can trust they won’t wear down or break apart under pressure. Our custom, laminated or timber mats for rent will give you a solid working area, even when the soil around you is soggy, flooded, sandy, rocky or otherwise unstable. If you are working with sensitive surroundings and you want to work in the area without leaving tire tracks or other marks, use our dragline and digging mats. 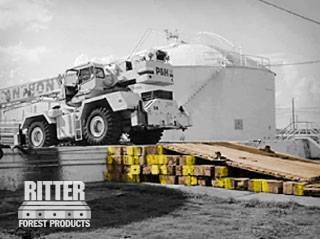 We also offer outrigging pads and transition mats to easily and safely maneuver heavy equipment, as well as shoring materials and pipeline skids to stabilize pipes and trenches.